Today’s quest expert is Mrs. Debbie Hodge. 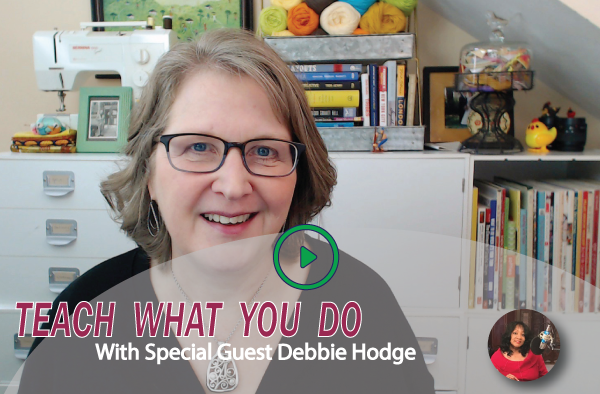 Debbie is the owner of Teach What You Do and the owner of Get It Scrapped where she has developed and sold over 100 online courses since 2007.
writing and design to record the stories and events of your life. Debbie has over 10 years experience with writing for print magazines, authoring her own book, and building the “Teach what you do” and “Get It Scrapped” family of websites that has yielded thousands of articles, over 50 eBooks, 100+ online courses, and hundreds of hours of video training Debbie has an MBA concentration in operations management and over 20 years of study and practice in creative writing.